6 Spectacular Buildings. 6 Countries. Who will win? CNN Style takes an inside look at the best buildings of 2016 – as well as the architects behind them. 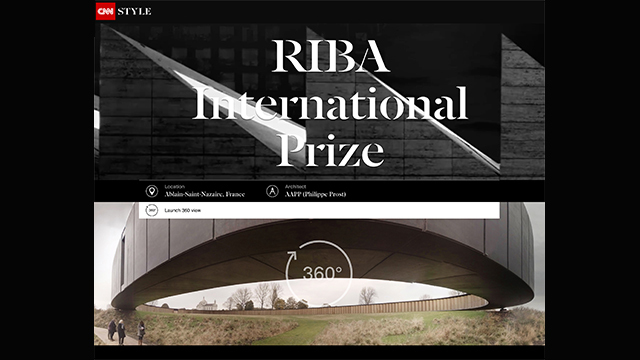 In partnership with the Royal Institute of British Architects (RIBA), CNN Style published an immersive and mobile-first interactive experience featuring 360-degree perspectives of the shortlisted buildings for the RIBA International Prize 2016, and some of the most prominent voices in architecture. The RIBA International Prize will be awarded to the most significant and inspirational building of the year, to be announced on November 24. Take a virtual tour at CNNStyle.com.